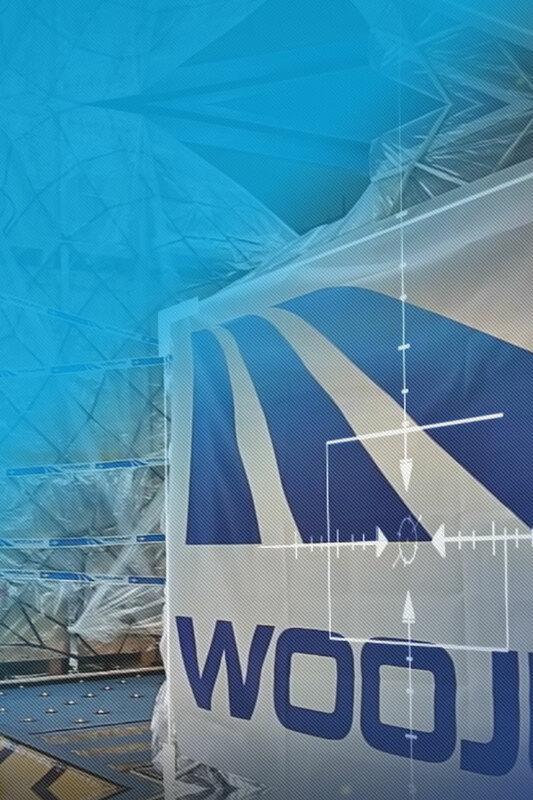 A professional consolidator of air cargo, Woojung Air Consolidation Inc. The leader of the air freight logistics industry in Korea, A professional consolidator of air cargo, Woojung Air Consolidation Inc.
Woojung Air Consolidation Inc. has the business organization at Mapo-gu of Seoul. 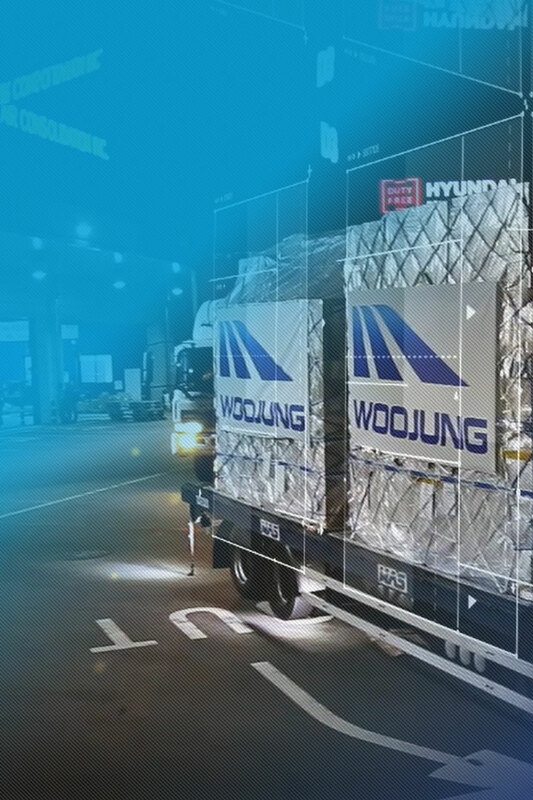 Woojung Air has the 4,648m2-wide integrated logistics center within the Incheon Airport Distribution Complex and provides the consolidated air freight services and airport transport handling services. 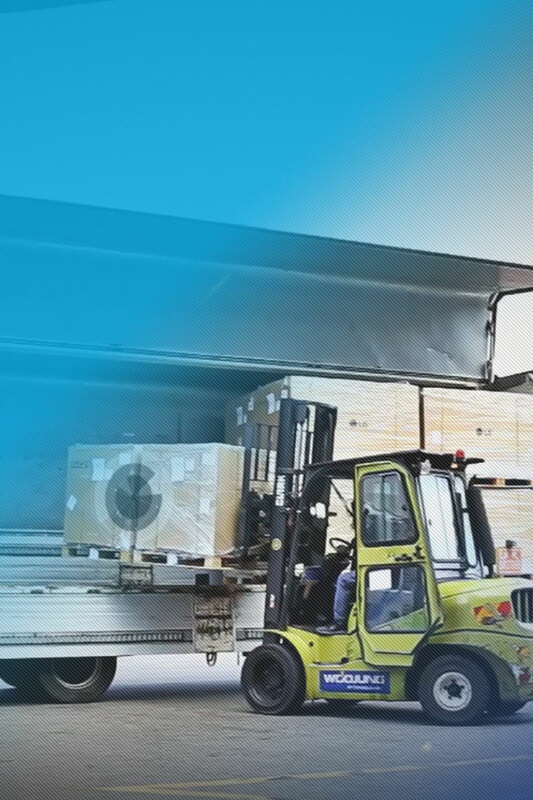 Air freight to all over the world, The solution of Woojung Air shall be a new standard service. 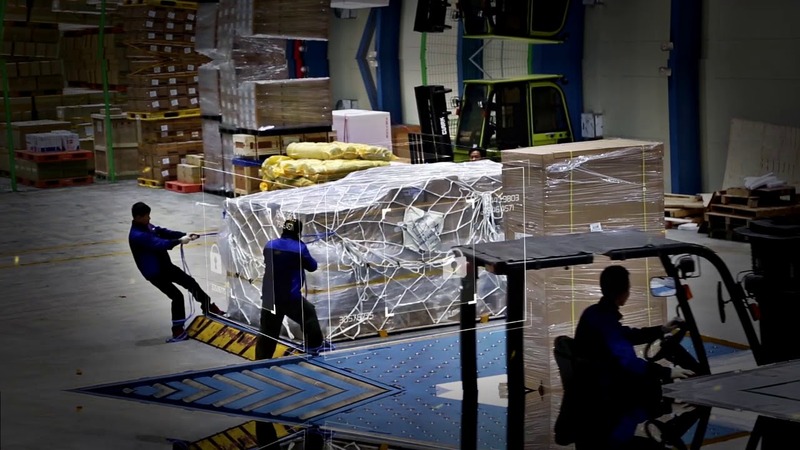 The combination of IT technology and optimal infrastructure has made the innovation of air cargo business. 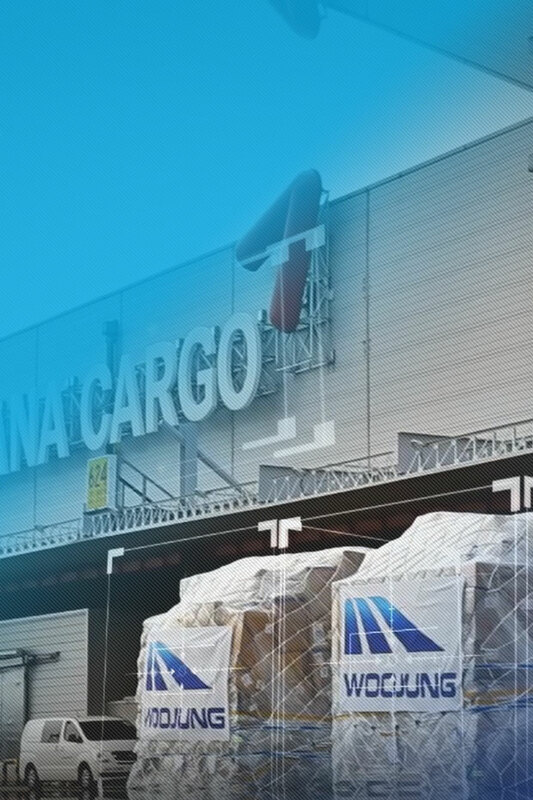 New future of air cargo business, It is the solution of Woojung Air. Integrated one-stop solution from modern technology and know-how by logistics experts! we provide services to all parts of the world. Flight schedule, departure and arrival information, estimated flight time, etc. In anytime and anywhere, new own platform solution could be provide all routes of transport and fare information services, Support for quick reservation via one-click booking, Provide freight monitoring through real-time tracking, And quickly define any possible irregularity and prevents it effectively.